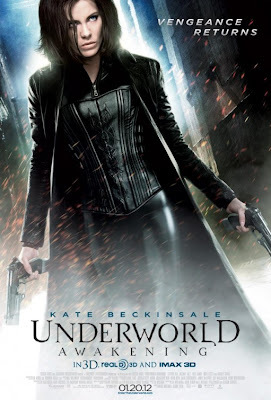 The vampires and the lycans are back in the 4th installment of the horror/action franchise. I felt this was one of the weakest of the movies, picking up more or less where movie 2 left off. Selene is back and so is her hybrid vampire/werewolf boyfriend. Only now their war has spilled out and everyone knows about them. The Vampires are almost extinct and the lycans are all ready there. Great for a bit of dumb fun and there is a surprise in this one.